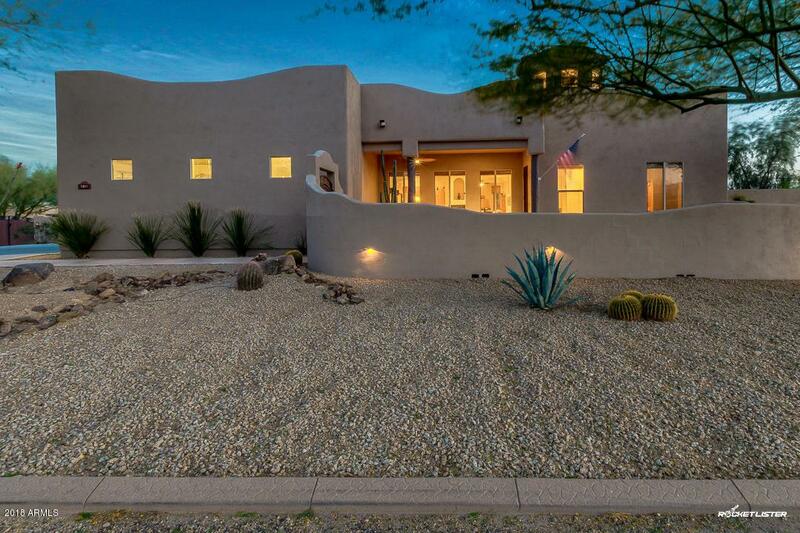 Gorgeous territorial style home on a well manicured acre lot with mountain views! Charming courtyard with lots of room for outdoor seating. Both formal and casual living spaces. The home is very open and perfect for entertaining. The family room is just off the upgraded kitchen and can incorporate a large dining table. Brazilian granite counters, stainless steel appliances and staggered oak cabinets, plus a walk-in pantry. 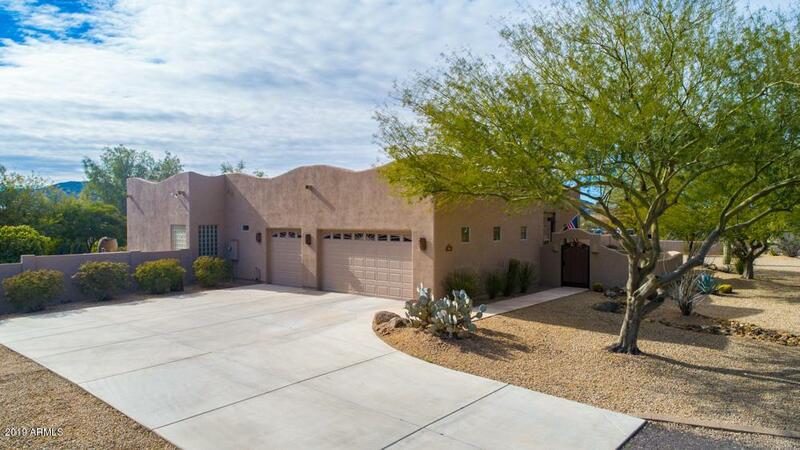 Huge master suite with private access to the pool area, ensuite has dual sink granite counters, whirlpool tub, tiled shower and 2 walk-in closets. 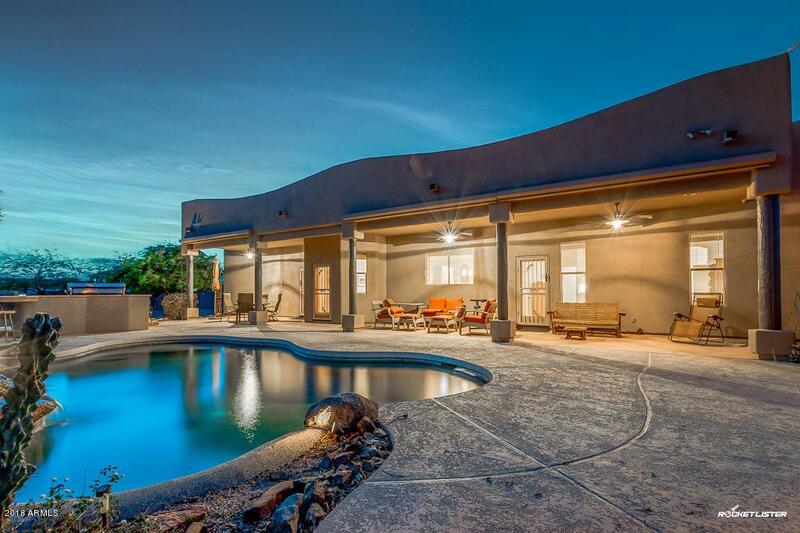 The backyard is the perfect spot to relax: splash in the pool, gather around the fireplace or enjoy grilling a few steaks and dining al fresco. 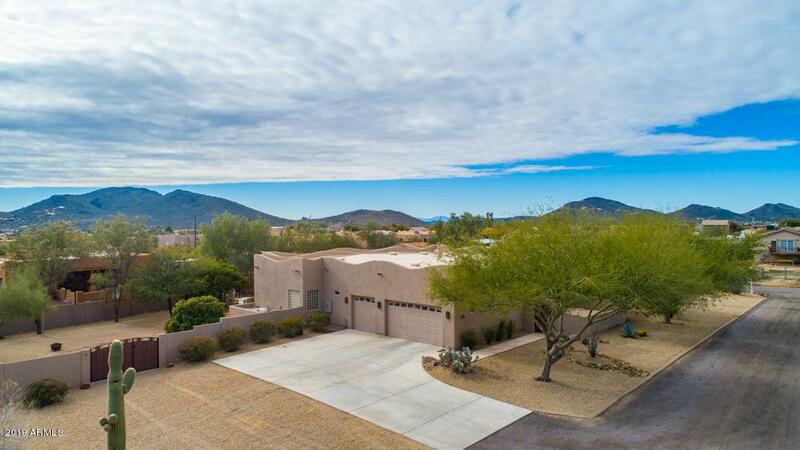 Huge fenced yard with desert landscaping, bring all the toys, NO HOA.